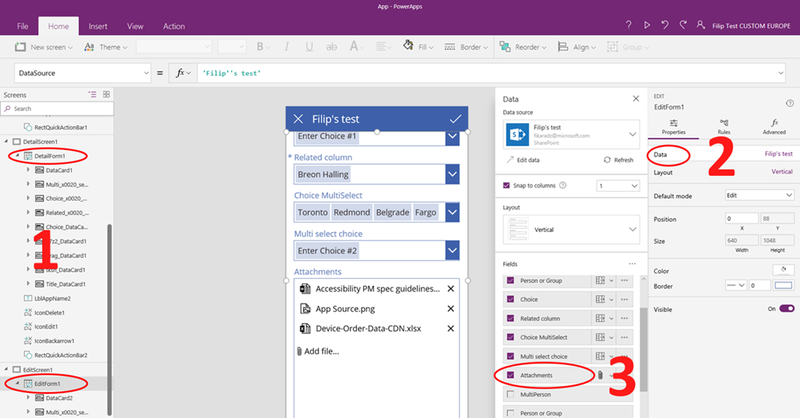 We are excited to announce the release of one of our most requested and anticipated features – attachments upload in PowerApps version 2.0.820. You can now use the Attachments control to add files to SharePoint list items (or remove them) from any device . If you are on a mobile device you can easily add your existing photos or a new one taken with your camera. How do I see attachment upload in action? 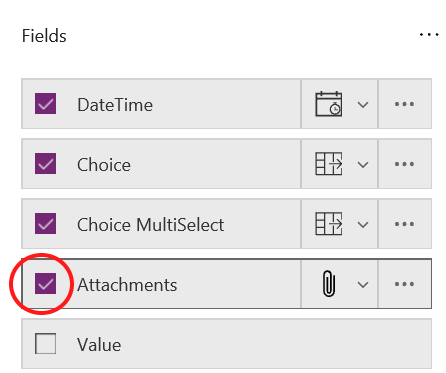 Select the forms that you want to add attachments to. It is the Edit form that will have the upload functionality, but you’ll likely want to add attachments to the View form (a.k.a. Detail form) as well. 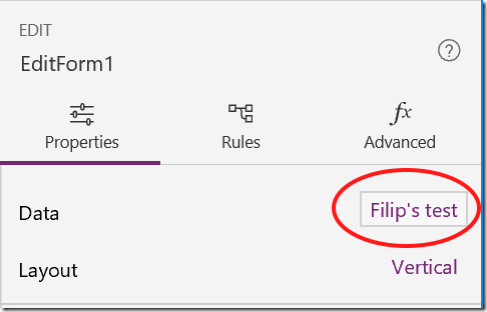 In the properties pane, click on the Data field to open the data panel. 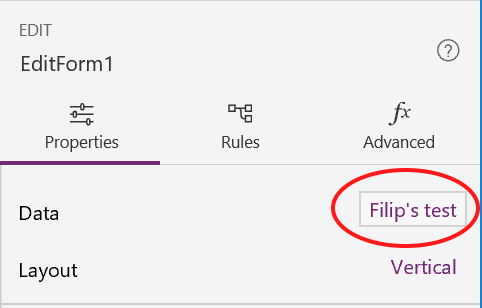 In the list of fields, find the Attachment field and enable it. 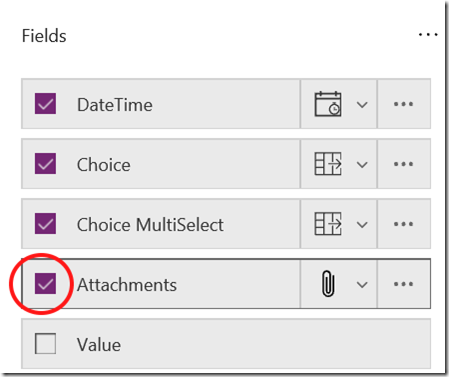 Note that if you have an existing form with the Attachment field enabled, you’ll need to disable and re-enable it to get the new functionality. Save and publish your app. 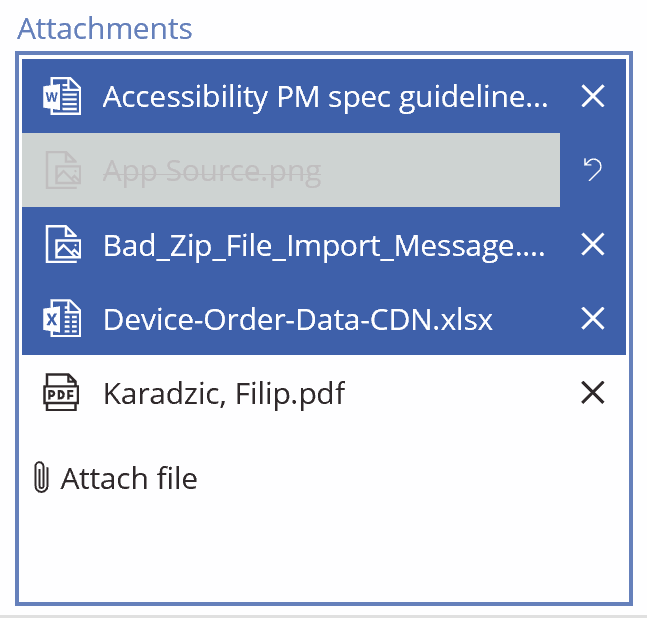 When you run the app and open the above form, you’ll see the Attachments control that allows you to add new files by clicking on the Attach file link (newly added files are shown with a clear background) and delete existing files by clicking on the “X” beside the file name (files marked for deletion are shown with a disabled gray background). 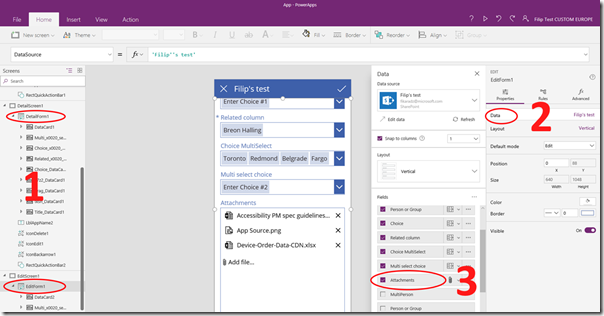 Attachment upload only works with SharePoint list data sources. We’ll be adding support for other data sources incrementally, starting with CDS. Upload and delete only work inside a form. We’ll be looking to add support for the standalone scenario outside the form within the next couple of months, but for now the Attachment control will look disabled when in Edit mode and not inside a form. You can only upload files up to 10 MB in size. Due to performance issues we had to impose the hard limitation which we’ll be looking to increase within the next month. In the upcoming releases we are planning to enable the control to take attachments from other controls inside your app (such as a signature from a Pen input control) as well as allowing you to view some of your attachments such as images inside the app. I’ll be blogging about those features as soon as they’re available. The app maker can limit the maximum number of attachments in a single control (MaxAttachments property), as well as the maximum file size of each attachment (MaxAttachmentSize property). For more details on control properties, see the control documentation. 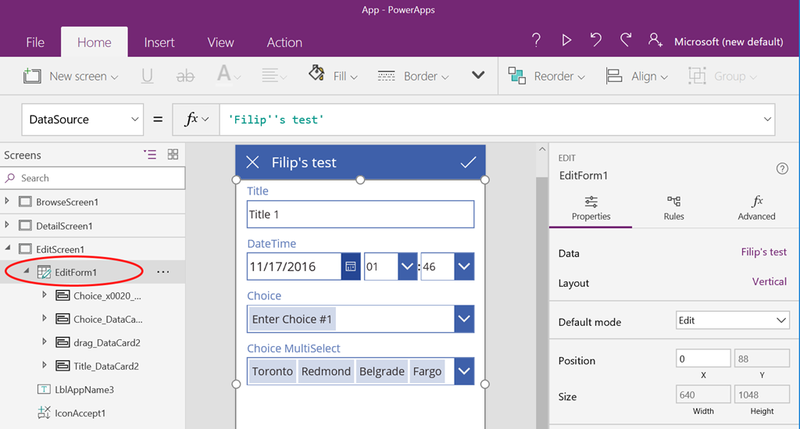 Feel free to leave you comments below, but for constructive discussion on how to use the control, we recommend the PowerApps forums as a better option.